New plans for the Iglesias brothers of the famous Rias de Galicia! The well known Bcn 5.0 project, consists of the most spoken about restaurants in town like the michelin starred Tickets and Pakta, or the Bodega 1900, Niño Viejo and Hoja Santa, and the soon to be Enigma. It is the combination of the well known partners: the Adria Brothers from El Bulli and the Iglesias Brothers from the well established Rias de Galicia. 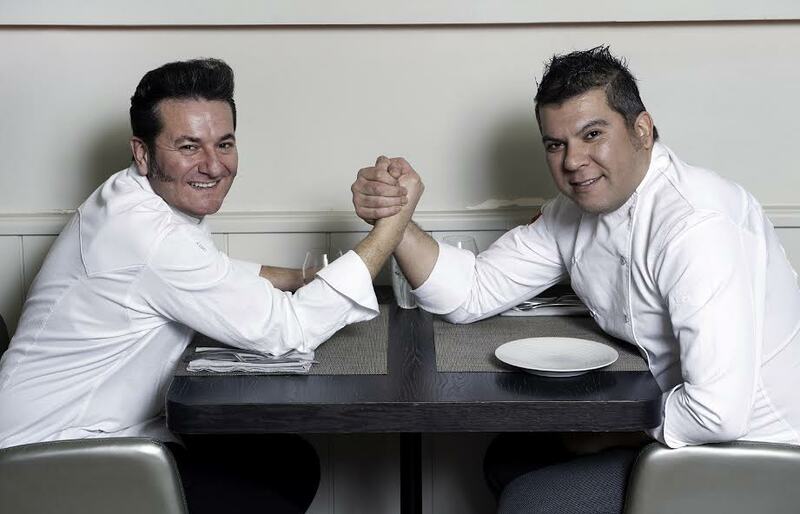 Few days back we came to know of the expansion of the Adrià brothers with the new project Heart and now we have the Iglesias brothers with new plans. The Iglesias brothers have 3 restaurants : Rias de Galicia, Espai Kru and Cañotas. All three are different concepts and have excellent reviews. Espai Kru almost got a michelin star too. I have been to Cañotas and loved it. They have now incorporated the well known chef Rafa Morales. Rafa Morales was a chef at el Bulli from 1994 to 1997. He then worked in La Hacienda Benazuza Farmhouse, known as El Bulli Hotel in Sanlúcar la Mayor (Seville) which blew all his creativity and in 2014 he opened "Que si quieres arroz, Catalina" in Madrid which is one of the best in the capital. He will now work in tandem with the chef Ever Cubilla in the expansion of the Iglesias Brothers project. It will start with a 1000 m2 space on c/Enric Granados. We will soon get to know more details, meanwhile their 3 restaurants are on calle Lleida, around Parallelo.